This article first appear on SmallCapAsia.com. This is the question I get a lot from my friends/acquaintances who knew first-hand that I am a financial writer and knows a bit about stocks investing. Needless to say, i will go all out to help them understand some of the basics and answer their questions wholeheartedly. “No leh, too busy to get started”. As a matter of fact, this issue didn’t happen only once or twice. There are always prospective investors who keep coming back on more questions too, and not take any action thereafter. Baffled, I seek to understand why they are not getting started despite all my advice. And I found the underlying reason behind. It’s always about the WHY. People who procrastinate on some stuff often didn’t get to doing it because they don’t feel the importance or sense of urgency. And this is also the reason why so many people put off investing until their retirement age draws closer. Or only invest in the stock markets right at the top of the markets only to see it come tumbling down. Thus, if you would ask me what is the single, most important thing in Stocks Investing… it is understanding the real reasons why you have get started. According to Investopedia, Inflation is defined as a sustained increase in the general level of prices for goods and services, measured as an annual % increase. As inflation rises, your purchasing power will drop as you buy a smaller % of the same good/service. One case in point is how McDonald’s increases its prices year after year because of inflation. Let’s take their famous French Fries as an example. While it used to cost only S$1.90 for a medium sized packet back then, it now costs over S$3 for the same thing = 50% inflation over a decade! Therefore, many people think of Inflation as a Pac-Man going around eroding every dollar you have over time. However, you can also think of it in a different way. With the constant increase in prices of goods and services, companies all over the world rake in higher sales and profits which in turn, lead to a rise in their stock prices too. If you look at both the Singapore Straits Times Index and Bursa Malaysia KLCI Index over a 20 year period, you can see that they have gone up in the long run due to an inflationary environment, averaging around 5-8% annually. In short, inflation can be viewed as a double-edge sword. So, as opposed to letting inflation continually eroding your wealth, why not leverage on inflation to help you as an investor? By investing in stocks in which its Returns outperform Inflation, you would have beat inflation in its own game! Many people have big dreams for what they want to achieve in life such as sending the kids to college overseas or to retire on a yacht in the Mediterranean. However, these goals are hard to accomplish when one is just getting a monthly pay-check and at risk of losing the job anytime. For that reason, investing wisely is crucial to getting you where you want to be. Investing can help you save for a round-the-world vacation, a new house, starting a business, and any other financial goals you might have. Notice how I italise the word wisely? This is because in order to achieve high returns (double-digits) in the stock markets, you need to do lots of homework, and learn tons and tons of things. That said, if you just started out investing, feel free to go to our “free tools” page to download some useful resources. Honestly, who wouldn’t want your money to start growing by itself into a money tree like the picture above? Wouldn’t it be shiok to have your money working for you, equals to earning Passive income? That said, what is the fascination about passive income and why is everyone talking about it? Let me explain in layman terms for you. If you are an employee, your income is tied to the number of hours you work (exchange time for money). And the only way to make more money is to spend more time. On the other hand, by definition, passive income is “earnings an individual derives from something in which he or she is not actively involved.” It also means that you can “shake leg all day and collect money” if your passive income reaches a point where your expenses are fully covered! But many people shrug it off since the issue doesn’t demand immediate attention and most of them don’t mind exchanging their time for money (that’s what everyone else is doing isn’t it?). That’s where most people go wrong and don’t start to invest in their early days. Try to visualize your life 30 years later. Do you still want to work your guts out when you are 60+ years old? What happens to retiring and travelling around the world which you have always dreamt about? None of this will materialise if you are constantly chasing after your next paycheck. So the bottom-line is this: By compounding your returns through stocks investing, you will build up your assets which in turn, generate passive income for you while you sleep. And that’s what we call financial freedom! Attain high returns to overthrow inflation and all the puny % returns from savings accounts, term deposits etc. Earn passive income from the dividends that flow in year after year. SmallCapAsia.com is a website focused primarily on undervalued gems that can generate Big, Fat Returns for investors. Their Slogan is simple: Start Small, Win Big! Subscribe to their FREE e-newsletter to get a regular dose of investment wisdom not found anywhere! 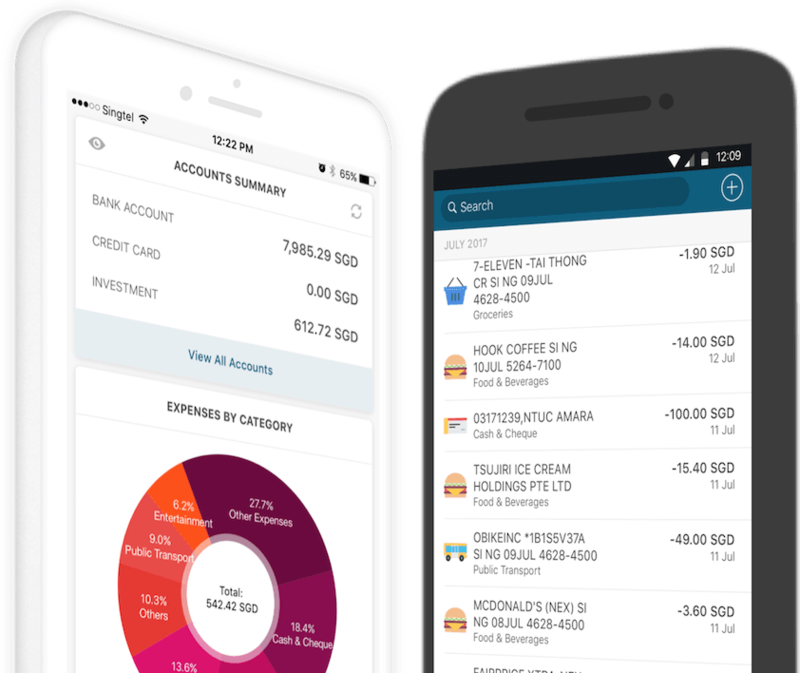 Managing your finances can be very stressful, but Seedly is taking a swipe at making it a lot easier. Track your expenses for FREE today!